Discover Our Bespoke Whisky Tours of Scotland. Tailored to your tastes. One of the most iconic of Scottish products, whisky has been around in the country for over 600 years. The unique spirit has been loved by many people throughout the years with Mark Twain once declaring “too much of anything is bad, but too much good whisky is barely enough”. On our whisky tours we give you nothing but good whisky. With over 100 active distilleries throughout 5 whisky regions in Scotland Lang Atholl can ensure we plan a whisky tour set to your tastes ensuring a comparison between the differing flavourings and character of each whisky. Experience the hidden gems in the whisky world at the Benromach Distillery to discovering the process and the story behind world renowned Macallan whiskies on the Macallan Estate. Let your experience take you on adventure through the lands of the “uisge-beatha”. As it is not wise (or legal) to mix whisky and driving; Lang Atholl organise a relaxing chauffeur driven service to take you on your voyage from cask to bottle and of course from distillery to distillery. As an addition to your tour our chauffeur driven whisky experience can take your from one destination to the next, while your vehicle will be awaiting your arrival at the end of your day. 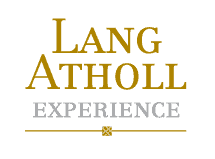 In addition to any Lang Atholl Experience we can call upon the experience of Lang Atholl Whisky Ambassador, Charles Maclean. Charles holds over 30 years of experience in the field he was names as “Scotland’s leading whisky expert” in 2010 by The Times Newspaper. After writing 10 books on the subject, many of which have been nominated for various awards including “The Wine and Spirit Book of the Year” which he won in 2003, Charles was also named as a “Master of the Quaich” which is a very rare honour. With this level of expertise included in your package then you will see your guests soon go from whisky enthusiasts to whisky experts.